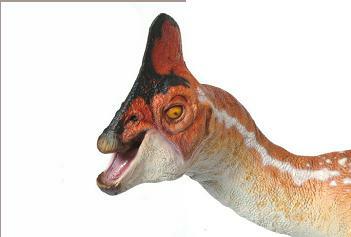 Oviraptor was a small, omnivorous, bird-like dinosaur that lived during the late Cretaceous period about 88-70 million years ago. 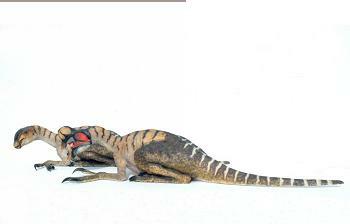 Diet: Oviraptor was probably an omnivore, which is unusual for dinosaurs. 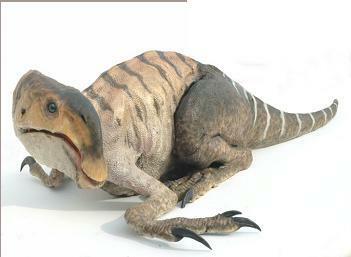 It probably ate meat, eggs, seeds, insects, and plants with its beak and powerful jaws. Anatomy: Oviraptor was about 6 feet long (1.8 m), lightly built, fast-moving, long-legged, and bipedal (walked on two legs). The claws on its large hands were about 3 inches (8 cm) long. Its fingers were long and grasping. 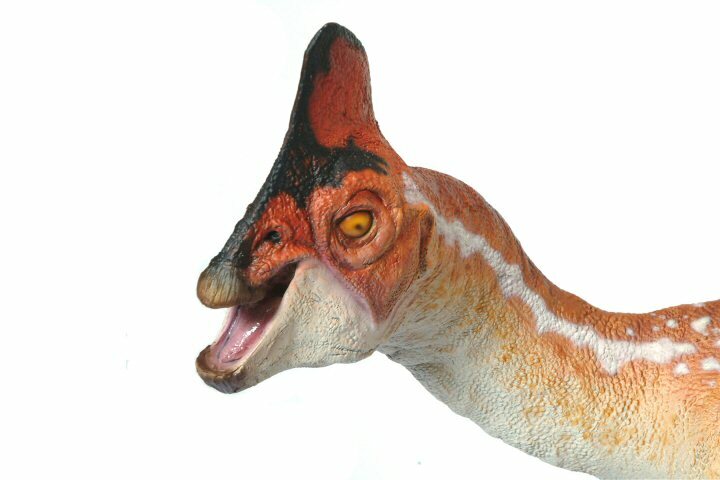 Oviraptor's strangely-shaped, parrot-like head had a short, toothless beak and extremely powerful jaws, built for crushing action. It had a small, stumpy, horn-like crest on its head, probably used for a mating display; differences in these crests may represent different oviraptor species or the difference between the male, female, and juvenile of the species. Fossils and Name: Oviraptor was first found in the Gobi desert (in Mongolia) in 1924 and was described and named by Henry F. Osborn. 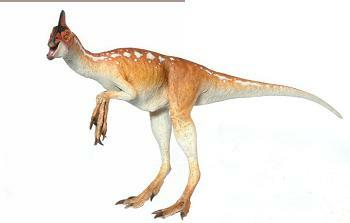 Oviraptor (meaning "egg stealer") was thought to eat mostly eggs. In 1924, an Oviraptor fossil was found on top of some eggs (which contained no fossilized embryos), and people assumed that it had been eating the eggs. Recently, however, in Mongolia, paleontologists found some eggs containing fossilized embryos that were identified as embryonic Oviraptors. 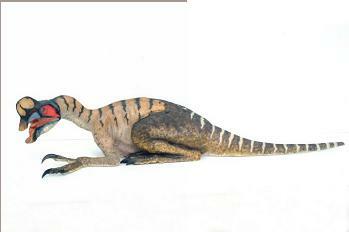 These eggs were very similar to those eggs found in 1924 that originally implicated the Oviraptor as a thief. If would seem that the Oviraptor fossil in 1924 was probably a parent of the eggs in the nest, and not an egg stealer but a nurturer.